Do you know the “V-sign”? “V” – for VICTORY as it stands. and millions personal victories? When multiple “V”-s are gained together it becomes a “W”. Share your W with WORLD! 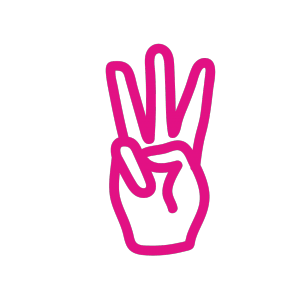 In China it is used as a hand sign for number 3 (≡) – a lucky number that represents life and birth of something new. So your W can also stand for Body-Soul-Earth or People-Planet-Profit… You choose! Afterall it’s the sign of World Cleanup Day & all the good people united with a wonderful cause. Showing your support is excellent but taking an action is what really makes the world go round. Join the biggest civic actionin human’s history!